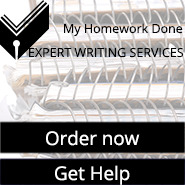 Writing an essay can be quite a challenging task especially to the beginners. You will find yourself in a situation whereby you scratch your head and no point comes to mind and remember that time waits for no man. If you want to be a pro, here are some hints for writing a good essay. There are chances that in some institutions, the students are provided with an essay topic however in others, the ball is thrown in their court and they are tasked with the job of coming up with their own topic. If you are a student that belongs to the latter group, here are some of the things that you should probably know. First, pick a topic that is interesting. Why should you punish yourself by picking something that will make your writing process one hell of a task? Choosing something that is interesting will make you write your essay in such a short time since you will be enjoying each and every second. Choose a topic that is researchable. Do not come up with a topic that has scanty information since you will end up wasting your time and get stuck in the end. Before writing an essay, ensure that you brainstorm and scribble down whatever comes in mind. By doing this you will be able to have an idea of what your essay should look like and the links between different ideas. You can also be able to sort out your points and begin with the most important ones. Have a separate paper where you can write this. In an exam situation, you may not be allowed to carry a paper and thus you may be forced to write your outline where your lecturer won’t reach and cross it out so that it is not considered part of your essay. The function of the thesis statement is to tell the reader why you are writing the essay. The structure of an essay is as follows. The first section restates the topic and the second part tells the marker the point of writing your essay. Ensure that your essay has an introduction which holds the thesis statement, the body where your argument is and a conclusion which summarizes your points and recaps your main idea. This is just a basic structure of the things you need to focus on.